In the limits of the density functional theory there are introduced and deduced fundamental chemical descriptors as the chemical action concept, the chemical field, new electronegativity, rate reaction and chemical hardness formulations, the reduced total energy and the partial Hohenberg-Kohn functionals. For electronic density computations the quantum statistic picture of the path integral Feynman-Kleinert formalism is employed to its markovian approximation, providing the framework in which the majority of the chemical reactions and the reactivity of the electronic systems can be treated together with the internal and environmental couplings. Evaluation, representation and interpretation of the present analyzed chemical indices are performed for a prototype many-electronic system such that its electronic structure to display fundamental and excited anharmonic vibrations being in the thermal coupling with the medium. The chemical descriptors introduced and computed shall contribute to the foundation of the chemical reactivity on the conceptual and analytical physical bases, being able to predict the chemical transformations and the characterization of the bonds formation. 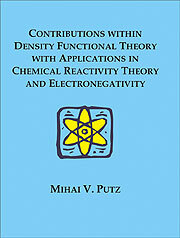 Mihai V. Putz is Graduate in Physics, Master in Spectroscopy and Doctor in Chemistry with an interest that lies on the structure and reactivity study of the many-electronic systems on behalf of the Density Functional Theory, Statistical and Dynamical X-ray Diffraction and Path Integral Quantum combined approaches. 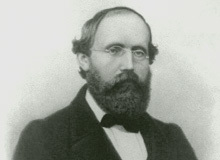 Riemann's doctoral dissertation introduced the notion of a Riemann surface, conformal mapping, simple connectivity, the Riemann sphere, the Laurent series expansion for functions having poles and branch points, and the Riemann mapping theorem. Riemann's dissertation, completed under Gauss's supervision in 1851, was on the foundations of complex analysis. It introduced several ideas of fundamental importance, such as the definitions of conformal mapping and simple connectivity. These are necessary for one of his main results, the Riemann mapping theorem: any simply connected domain of the the complex plane having at least two boundary points can be conformally mapped onto the unit disk.